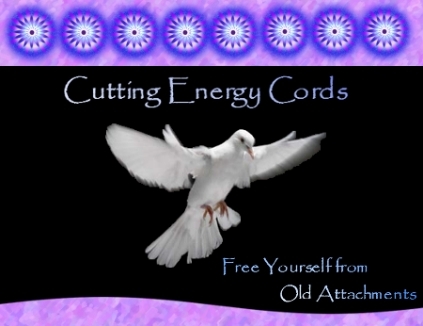 Category Archives: Spiritual – cutting the cords that bind you! sociopath, Spiritual - cutting the cords that bind you! How to get rid of the sociopath in your energy field, when trying to establish no contact!! How to cut the chords of attachment! This post is for people who believe in things spiritual, or who live their life in a spiritual way. I know that those who are spiritual, often have the toughest of lives (why you are all so smart and compassionate). I do not want to offend anybody. So if you are not spiritual, or think this wouldn’t help you please skip this post. Writing this blog is liberating, as I can just be me. Something I could never do in my employed work. I debated whether to put this here, as I know it could appear not right to atheists, and offensive to some religions. I don’t have a religion, but my life path is spiritual. I have worked all of my life with homeless people. Trained as a counsellor, and in 27 years there isn’t much I haven’t heard or worked with. I had a number of relationships when the relationship ended, and I established no contact. This was difficult to do, as I couldn’t get the person out of my energy field. I tried, but they were in my thoughts, in my dreams. It felt like I couldn’t escape. There is a way to break the tie that connects you. To break the sociopath constantly interrupting your energy field, you struggle to move forward. The pain is overwhelming and you cant stop thinking about them. They come to you in dreams, and just trying to get on with your day is difficult, as they bombard your everyday thoughts. The feelings can be so intense that they might as well be in the room with you. Do you understand this feeling? To remove someone from your energy field. You ask Archangel Michael to cut the chords that bind you. its not voodoo or magic. It is asking for assistance to break the chords that bind you, blocking your energy field. Psychopaths, sociopaths and narcissists, can be energy vampires, and you might find that trying to get rid of them out of your life is impossible, as they still attach to your energy by constantly thinking about you, focusing on you.You cannot get them out of your mind. The more that you are determined to get on with your life, the stronger they are in your thoughts. Does this sound familiar? There are videos to help you with this. If you are interested in this use whichever video you feel drawn to. I haven’t chosen one, as we are all different. Therefore what I might be drawn to, you might not be. Also remember that your body has what is called ‘chakra’s’ you can allow energy into your body to heal you. Visualise white light coming down through the top of your head, all over your body. Visualise it, feel it washing away the toxic within you. Imagine a ball of light energy all around you. I do not know how this post will be received on this blog. So, go easy on me!! Somebody asked me about it, so I thought I would write a post about it. If it doesn’t apply to you, please ignore. ; But i am sure that there will be a few people who can understand it, and perhaps would benefit from the knowledge.